In the book of Esther, the name of God is never mentioned. Yet, His presence is so strongly felt that He doesn’t have to say a word. His sovereignty permeates the pages of the story. He is the unspoken architect of history. Esther was adopted as a child by a righteous man named Mordecai. 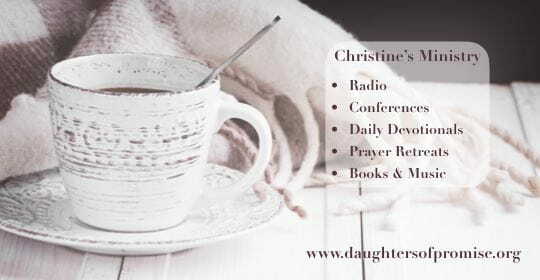 His godly parenting resulted in a secure, confident young woman with a deep faith. Her poise, coupled with the presence of God in her spirit, impacted the king. So much so, that he made her his new queen. When trouble entered the palace and the plot of Jewish history was woven with dark threads, Esther was able to step up to the plate with discernment and courage. She saved the lives of her husband, her father, and the entire Jewish nation. I wonder if Esther could have traced the hand of God on the worst of days. I perceive that the dark times obscured her vision of His presence. We, like her, are fooled by the view that only today offers. The challenges, the threats, the seemingly insurmountable mountains, make it appear as if we’re surviving on our own. We embrace the lie that future outcomes are up to us. We stumble under the weight of responsibility that is not ours to bear. God sees the sweeping story of Esther two ways ~ just as He sees my story. 1. The bird’s eye view.He felt the subtle impacts of Esther’s less than ideal upbringing. He felt her anxiousness as she prepared to meet the king for the first time. He felt the stress of the high stakes when she approached the king to reveal her Jewishness. A bird’s eye view is when God feels what I feel and enters into the moment. 2. The panoramic view. Able to see the past, present, and future within the framework of the grand story of reconciliation and redemption, God aches to see me trust Him with my challenges. He knows what my faith will cultivate. He knows how redemption will unfold. He knew the final outcome in Esther’s story and invited her to take part in the future redemption of His people. It was scary and required courage and though she had not a clue how things would play out, perhaps even facing her own death in the process, she trusted God’s sovereignty in the panoramic view of time. “I’m here”, God is saying to us. “I’m here, with or without mention!” Your king’s heart is in God’s hands. Your husband’s behavior has not gone unnoticed. Your child’s rebellion is within the realm of His sovereignty. Our life’s tapestry, currently being woven in murky hues of gray, is under the artistic direction of our Creator. History will reveal, perhaps even a year down the road, that God was there all along. The hand of the Weaver will be evident as we view shades of gray displayed against dazzling colors that bring the grey to light. Let us not lose heart but sing of His faithfulness. If you need the warm arms of God in your present moment, He’s here. If you need the comfort of pain’s redemption in God’s panorama of timelessness, it’s there. I can’t see You today. It’s my eyesight that fails. You are here – creating history. In Jesus’ name, Amen.